The Great Aletsch glacier seen from the Aletschbord (Hotel Belalp). Attracted by the Great Aletsch glacier, the Swiss stone pines and larches of the Aletsch forest, but also the fascinating cultural landscape with the hardworking mountain farmers and an extraordinarily diverse flora and fauna, more and more natural scientists from all over the world visited in the 18th and early 19th century the Aletsch area. 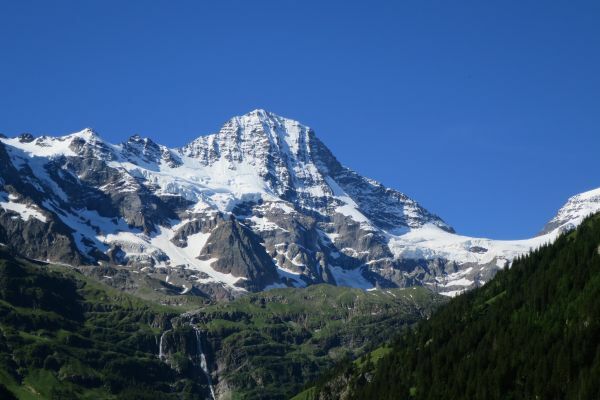 In the first place, they were mainly Swiss, in the course of the French Revolution followed French researchers, and later the British discovered the Aletsch area. 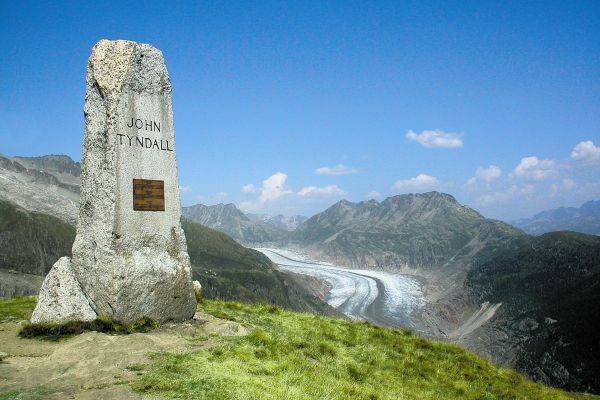 What they all had in common, was their idealism, they took great exertions and privations to explore the great nature around the Aletsch glacier. 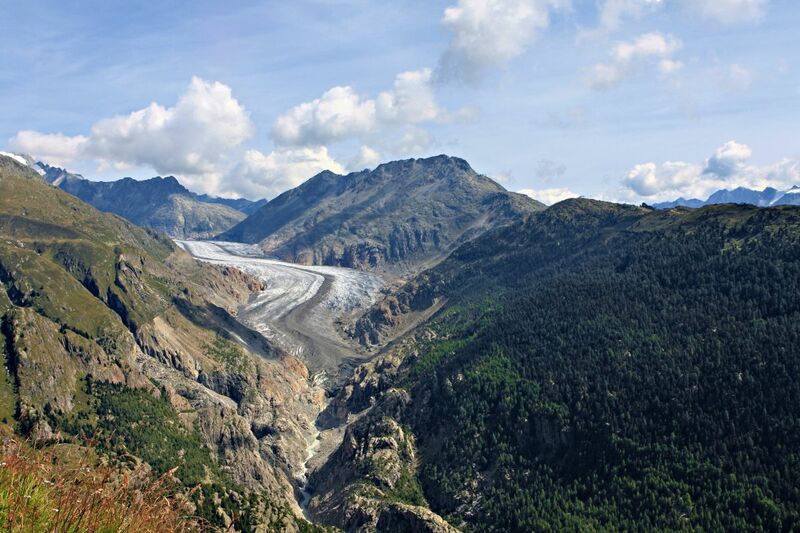 The natural scientists disseminated the beauties of the Aletsch region all over the world; their travel reports read like a call from an unknown mountain and glacier world. 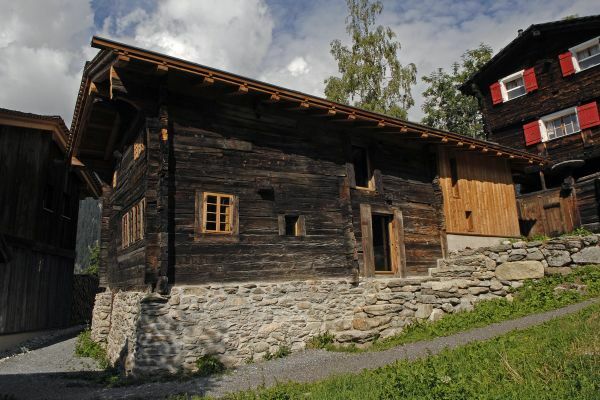 Attracted by the researchers and their enthusiastic portrayals, more and more «strange figures» emerged during the summer months, among them not only natural scientists, but also those who wanted to experience the unique landscape of the Aletsch area. 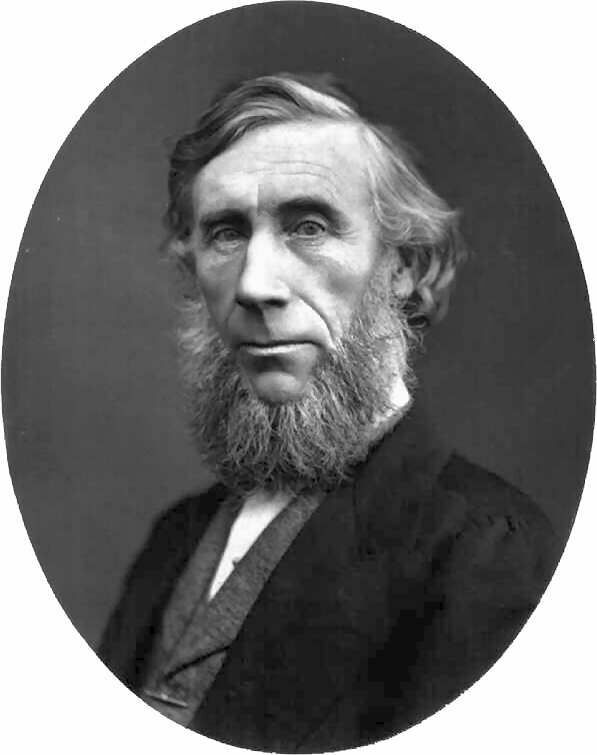 They were primarily Englishmen, who had an effect to the native population as if they were from another world. 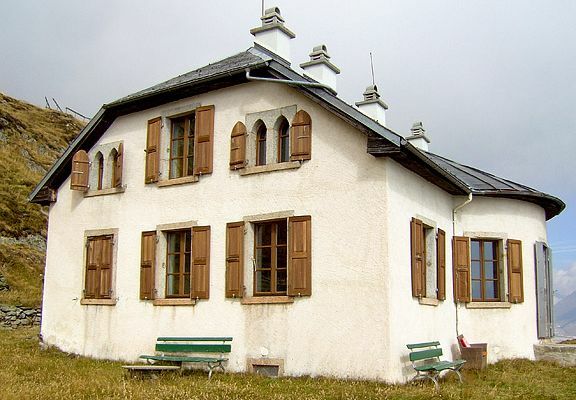 The chronicler Peter Arnold described the situation in his book "Riederalp" with the following words: "From 1812 onwards strange figures appeared on summer evenings in front of the alp huts on Riederalp. They wore hats like dented shingle roofs. In the hands covered in scratches they all held a long, iron-studded cane, and additionally stones, faded herbs and flowers. Unintelligible sounds and syllables came from their hoarse throats. 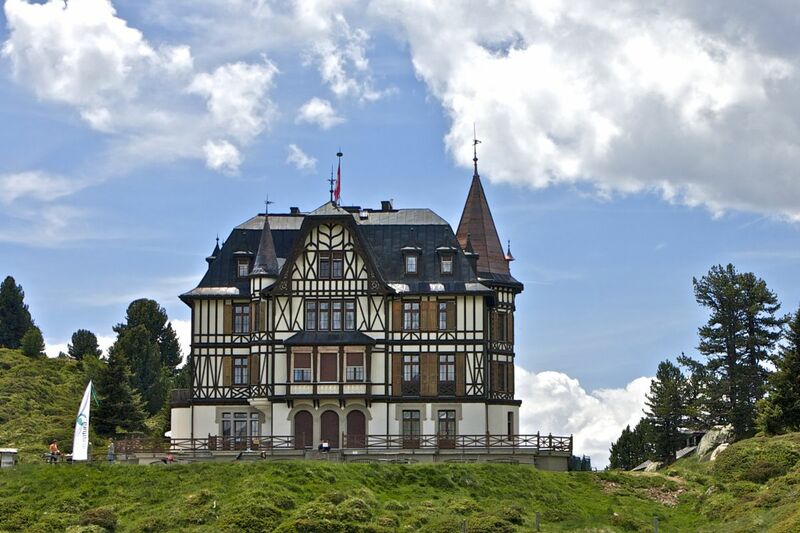 Here the children made the first connection between England and the Riederalp. They even touched carefully the clothes of the figures and soon ran after them from hut to hut. Most of the women disappeared quickly behind the door, peering through the roof hatch for what might happen outside. Yes, they might be demons, mountain spirits, or witches who were able to flee from the pyre of the High Court “Zen Hohen Flühen”. 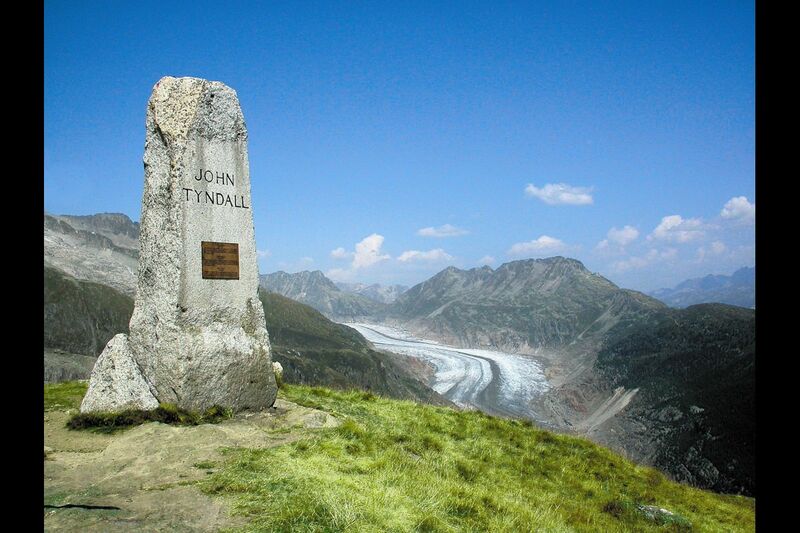 Or are they the so-called "poor souls" from the Aletsch glacier who have been redeemed or running away? The courageous among the shepherds clarified the cautious ones: No, no, they are people - haywire city dwellers who have too much money and too little work, and so they were sent to the fresh air of the mountains.” These enlighteners became the first carriers and mountain guides of the guests. Already after a short time, the shepherds were waiting longingly every evening. Their customers were amiable fellows, they also paid very well for the straw bags and the milk, and the sign language was soon replaced by a few words. 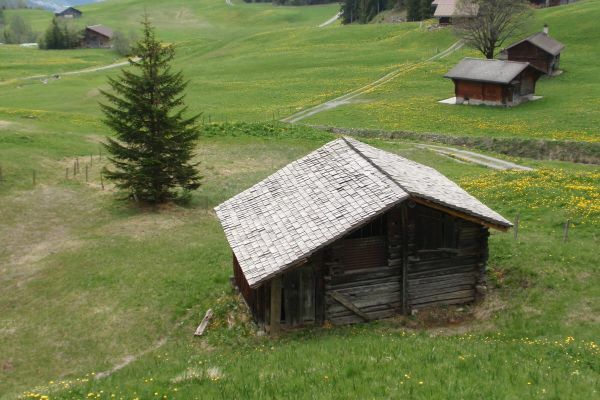 However, the alpine farmers did not understand at all the meaning of their “work” in the mountains. They were teasing and mocking and called their guests herb, stone and mountain fools.